Today I am going to share with you something so totally exciting, I can't contain myself! Take a look at it, memorize it, and get excited because it's something you are going to be seeing a lot of in the future. A group of very talented authors have gotten together to release some great books that I think you will thoroughly enjoy. Each day this week I will be revealing more and more information about the authors, their books and what you can expect! Here is a sneak peak at what you're going to get to see in the very near future! A class assignment forces popular girl Evie Cunningham to befriend one of the school’s “invisible”, Chase Mitman, with deadly results. Jennifer Murgia is the author of Young Adult Fantasy novels ANGEL STAR, LEMNISCATE and the prequel novella THE BLISS (Lands Atlantic Publishing). She is the co-founder and coordinator for YAFest—an annual teen book festival in Easton, PA, and a Next Generation Indie Award Nominee. She currently resides in Pennsylvania with her husband, two children and a very spoiled cat. 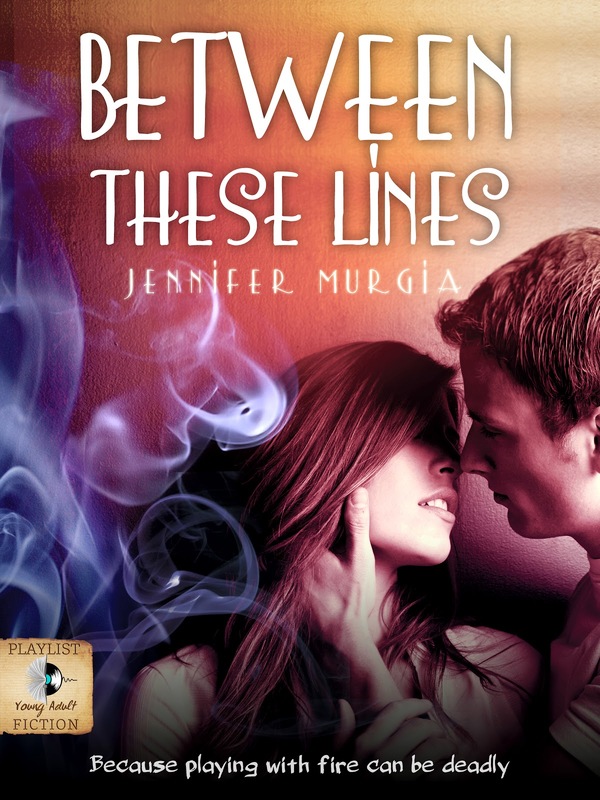 I'm so curious to read 'Between The Lines', the cover looks so gorgeous and the blurb really good!